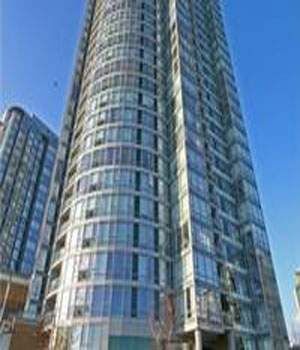 Located on Marinaside Crescent, with sweeping views of False Creek, this two tower condominium and town home complex is one of the premier addresses in downtown Vancouver. Completed in 2002 by Concord Pacific, QuayWest offers a place where you can be close to work and even closer to where you want to play. One of the few, truly waterfront residences in Yaletown, QuayWest features quality construction, many enjoyable amenities, a well managed strata corporation and a neighbourhood that is alive and vibrant. Definitely a place you might wish to consider home.